The AIME is the dollar amount that the SSA uses to calculate a Social Security benefit if you attained age 62 or became disabled or deceased after 1978. To calculate an AIME, actual past earnings must be adjusted using an “average wage index,” to retain the value of your past earnings in relation to present (or near present) earnings. Ever had a bank calculate the payoff for your car loan. They have to convert the income stream they would have gotten over the life of the loan (the future months of payment) to a present value. So think if the AIME calculation as adjusting your income in years gone by for inflation. If an individual attains the age of 62 or became disabled or deceased before 1978, the Average Monthly Earnings (AME) is used. The dollar amount used in calculating a monthly Social Security benefit if you attained age 62 or became disabled or deceased before 1978. The AME is determined by dividing the total earnings in the “computation years” by the number of months in these years. In initial computation, a worker’s (wage earner’s) base years for computing Social Security benefits are the years after 1950 up to the year before entitlement to retirement or disability insurance benefits. The base years include the year of the worker’s death for a survivor’s claim. The retirement, family (dependents), survivor and disability programs pay monthly cash benefits, while Medicare provides medical coverage. Social Security Credits were previously called “Quarters of Coverage.” As individuals work and pay Social Security taxes, they earn credits that count toward your eligibility for future Social Security benefits. A maximum of four credits may be earned each year. Most people need 40 credits to qualify for benefits for disability or retirement. This is 10 years of paying into the system. Consider this, a younger person, maybe someone age 26, has not had enough time to work and pay into the system to get the 40 credits. To be fair, the SSA relaxes this 40 credit requirement for younger workers. In short, younger people need fewer credits to qualify for disability (or maybe survivors) benefits. have a severe physical or mental medical impairment that’s expected to prevent you from doing “substantial” work for a year or more, or have a condition that is expected to result in death. Here is tip: Think of quarters of coverage (or credits) like term life insurance. You pay the premium, and die while the policy is in force. Your loved ones can collect the life insurance proceeds. If you forget to pay the premium abd let the policy lapse, when you die, there is no insurance and nothing to collect. So, when you stop working and paying into the SSA system, you no longer earn credits. Eventually those credits “expire” for purposes of SSDI benefits. For SSDI disability benefits , you must found to be disabled under the law while you are still insured for these benefits (similar to dying while you have life insurance in force). As a very general statement, for most workers, you have a window of five years after you stop paying to demonstrate your disability. Here is a very simple example: You work hard for 22 years solid, paying into the SSA system every single month. You have a bad car accident in December of 2009. Initially, you think maybe can no longer work, ever again. Your five year window of credits runs out as of December 2015 (2009 + 5 = 2015). Your disability must be found to have exited anytime between 12/2009 and 12/2014. Now, lets say you have a surgery, have a great result, and get better. So in reality, the accident was not all that bad. And, lets say , you quit treating with the doctors after about a year. Maybe you take this as assign to just stay home and enjoy your family. As time passes, your credits will expire. Your “insured status” will still expire on 2/31/14 (because you no longer pay in). Then at 12:00 noon on January 1, 2015 you get hit by a train and are horrifically injured. It is clear you will never ever work again. Sorry, those injuries don’t count for much because they happened after your insured status expired (which was 12/31/14). This is a very simple example. In practice, insured status issues can get complicated quick, and it break a case. Unless you are technically barred, for most cases, you can file your SSDI case anytime, but you always need to prove you became disabled while insured. If you are injured in 2008, your 5 year window runs in 2013. You can bring your SSDI case today in 2016, but you still have to prove disability on or before some quarter in 2008. Think the passage of time makes this case harder? Yes it does. Then, there are other disability claims: Disabled Adult Child (DAC) cases, and Disabled Widow (DWB) cases, all brought under Title II of the Social Security Act. These cases are brought under payments made by a spouse or parent, not under your own SSN. These have different periods of insured status. Again, this gets COMPLICATED quick. 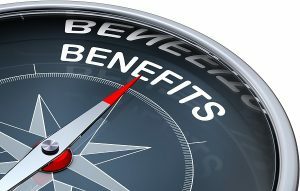 One of the best ways to make sure you understand all of the technical, legal, and medical terms associated with applying for disability benefits is by retaining the services of an experienced, knowledgeable, and qualified Social Security Disability attorney. Contact Sullivan Law Office today. We offer free consultations, so there is absolutely nothing to lose! We look forward to hearing from you. Call 888-587-0228 or visit us online.